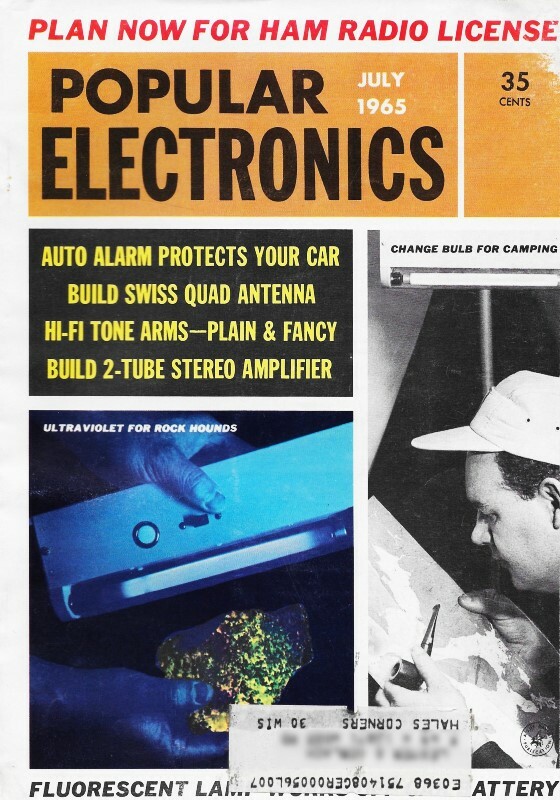 I like the opening line to this 1965 article on using silicon diodes, "You can stack' em up to get all the power supply voltage you need, but you have to know how to dress 'em up." The basic rules of solid state diode implementation have not changed much since they first began gaining widespread usage. Observing peak inverse voltage (PIV), forward and leakage current, and power dissipation rating limits were and still are the primary concerns for diodes. Moving to higher frequencies, particularly in communications applications, requires attention to junction capacitance, self-generated noise, and forward and reverse recovery times. Physical size and ruggedness, temperature and humidity, and even shielding from cosmic rays can also need careful consideration. That's partly what the author meant by dressing them up. BTW, we are so accustomed to using semi diodes these days that these days an article titled, "Using Vacuum Tube Diodes" would send the type of adrenalin rush to readers that this one did in the 1960's. You can stack' em up to get all the power supply voltage you need, but you have to know how to dress 'em up. Most experimenters at one time or another probably toy with the idea of substituting silicon diodes for the vacuum tubes in their power supplies. After all, with silicon diodes there is less power consumption, less heat, less need for replacement, and less space required. All too often, however, this apparent panacea to vacuum-tube ills backfires, cancelling out the benefits and leaving you up in the air as to what went wrong. Often occurring without an obvious reason, power supply failures are especially numerous when several diodes are used in series to handle high voltage and resulting high peak inverse voltage (PIV). If you are planning to convert that power supply of yours, the following suggestions can save you time and money. Fig. 1 - Inviting trouble: variations in diodes' reverse resistance cause unequal distribution of power supply circuit's inverse voltage and can start a chain reaction of destruction. Transients don't help either. Fig. 2 - Although each diode has a PIV rating of 600 volts and they appear to give the circuit above a total PIV capability of 2400 volts, it cannot handle even the 1680 volts developed across the diode chain. The table shows why D3, D2, and D1 play follow the leader in rapid order once D4 shorts out. Existing door switches for courtesy lights can be used to trigger the alarm. Externally mounted switch S1 can be concealed or lock-and-key protected. The normally closed delay relay, K2, holds K1 for a predetermined time to sound the alarm, then lets go and automatically resets itself when the bimetal contact holder, under the influence of the heater, opens and closes the contacts. Wiring and component location are not critical. The finished unit should be mounted inside the car. Diode Characteristics. First let's briefly review some important diode characteristics. A silicon diode conducting in the forward direction has a voltage drop of one or two volts across it because of its small forward resistance. The same diode exhibits a very high resistance - usually on the order of several megohms - when a reverse voltage is applied. The actual value of this forward and reverse resistance varies from diode to diode, even if they are the same type, unless they are a matched pair. It's this variation in resistance, as we shall see, that is one of the prime causes of series-connected diodes breaking down. Figure 1 shows an unprotected silicon diode power supply using a 1200-volt center-tapped power transformer and a capacitive-input filter. Each diode string has to rectify 600 volts 50% of the time. While this is a full-wave configuration, the same considerations apply to half-wave circuits. The PIV across each diode string is obtained by multiplying the 600 volts by a factor of 2.8. This works out to be 1680 volts. Good design practice calls for an added 25% safety factor, bringing the PIV requirement to 2100 volts. Just in case you are wondering how the 2.8 factor is arrived at, keep in mind that the transformer voltage rating is reported out in r.m.s. volts. The same r.m.s. potential reported out in peak volts would be a figure 1.4 times greater. Capacitor C1 charges up to peak voltage, and retains peak voltage even while the a.c. voltage on the transformer end of the diode string swings negative. The r.m.s. voltage across the string when the transformer end is maximum negative (-600 volts) and the capacitor end is positive (600 volts) is 1200 volts. Multiplying 1200 volts by 1.4 to determine the amount of peak volts is the same as multiplying 600 volts by 2.8. The result is 1680 volts. Four 600-volt PIV silicon diodes of the type used here (1N614's) would normally boost the overall PIV rating of the circuit to 2400 volts. However, you can consider yourself lucky if you are able to operate at anywhere near this level without breaking down. PIV Variations. To illustrate the harmful effects of variations in the reverse resistance characteristic, let's assume back resistances of 1, 2, 3, and 4 megohms on D1 through D4, respectively. The voltage drop across each of these diodes at 1680 PIV is shown in Fig. 2. Since each diode has a maximum PIV rating of 600 volts, D4 would in time fail - because it has 672 volts across it. In most instances a diode that fails in this manner acts like a very low resistance and an effective short circuit. Once this happens, the voltage distribution changes, leaving 840 volts across D3. It doesn't take long for D3 to fail; D1 and D2, of course, would also fail, as shown in the table in Fig. 2. Just in case D4 is stout enough not to break down when it sees the extra 72 volts, it will soon change its mind when an additional voltage comes along, such as a transient kicked up by switching the circuit on and off, or by sudden changes in the load circuit. To prevent this chain reaction of destruction, shunt each diode with a resistance of much lower value than the back resistance of the diode. The inverse voltage drop will then be nearly independent of the diode's back resistance. A 250,000-ohm resistance across each diode will usually do the trick. If all resistors are of equal value, the PIV across each diode will be the same. Transients. Transient voltage pulses are of extremely short duration and have a high-frequency characteristic. This characteristic enables us to use capacitors to distribute transient voltages in a harmless manner. In addition to forward and reverse resistance, each diode has a certain amount of capacitance, and like diode resistance, the capacitance varies from unit to unit. Just as the variations in resistance are compensated for by shunting external resistors across each diode, you can shunt each diode with a capacitor. The capacitive reactance of the external mounted on the firewall or under the dash by drilling two holes in the bottom of the other half of the chassis and fastening it with self-tapping screws in any convenient location. In order to save a lot of time and trouble installing special alarm switches on each door, you can use the existing courtesy light switches. The lead from the master alarm switch (S1) must be tapped into the grounded side of either courtesy or dome light lead between the light and the switch. This switch must be located on the car's exterior. A simple toggle switch can be used if it is concealed in the grille, behind the bumper, etc., or an ignition lock type switch might be used. The author used a toggle switch and mounted it in the recessed area near the rear license plate on his Corvair. A new switch, S2, must be mounted under the hood in such a position that when the hood is down the switch is open. One terminal is grounded and the other is connected at the same point as the lead from S1. Other Uses. The basic circuit of this alarm can be adapted for many different applications. By selecting the proper relay and delay relay values, a home alarm system can be built, using a floodlight, siren, etc., as the actual alarm. This system can also be used in a boat, or as a control for any other type of alarm.